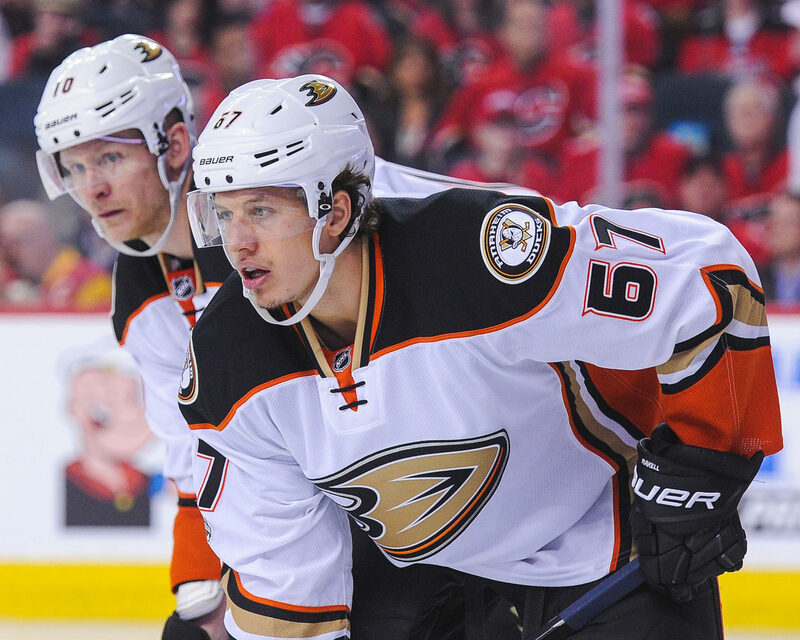 It’s everybody’s favorite day on LA Kings Insider – the Anaheim Ducks preview! There were no major changes in Anaheim over the off-season. Back-up goalies were shuffled, with veteran Ryan Miller signed to spell starter John Gibson, who was terrific when healthy in the second half of the season as he posted a .941 save percentage from January 1 onward. Anaheim was in a tough position heading into the expansion draft and had to part with talented young offensive defenseman Shea Theodore but still retains perhaps the deepest defensive corps in the league. There isn’t necessarily a game-breaking #1 defender – though Hampus Lindholm continues to grow towards being one, and Cam Fowler took probably the biggest step forward of his career last season – but a defensive group that includes Lindholm, Fowler, Josh Manson, Sami Vatanen, Kevin Bieksa, Brandon Montour and once again Francois Beauchemin is the most significant strength of this team. Forward Rickard Rakell scored 33 goals in 71 games, and Patrick Eaves popped in an impressive 11 in 20. These performances, along with the continued maturation of players such as Nick Ritchie and Ondrej Kase, are needed to complement Ryan Getzlaf and Ryan Kesler, who should rely on more regular production from their wings. Corey Perry, who some Kings fans are likely aware of, failed to reach 20 goals for the first full season in a decade, falling from 62 points to 53 despite an improved assist rate. The Ducks’ special teams fell (from an elite perch) in Randy Carlyle’s return, though their penalty killing remains terrific and ranked fourth in the league with an 84.7% success rate. Since 2013-14, Anaheim’s combined 83.9% penalty killing clip ranks second in the league behind pace-setting St. Louis. For expert analysis of the Ducks, LAKI consulted with Eric Stephens of the OC Register. Enjoy! Where will the Anaheim Ducks finish in 2017-18? Next Post » Rookie Camp: Moverare also a Sweden target; Luff ‘s destination?